Nann writes: With the new iOS 7 for iPhones I am unable to forward texts. I was able to do this in the previous version of iOS. Do you have any tips for this? Maybe I am doing something wrong. Hi Nann! Nope, you’re not doing anything wrong; it’s just that the new way to forward text messages in iOS 7 is pretty well hidden. Don’t worry, though—it’s pretty easy once you know the trick. 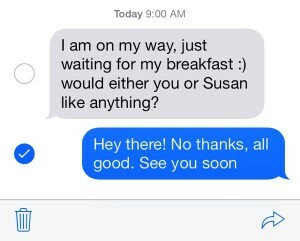 Want to forward a text message in iOS 7? You’ll need to tap and hold the message first, then tap the little Forward arrow in the bottom corner of the screen. Well, here’s what you do: just tap and hold the message you want to forward. When you do, a pop-up with two options—Copy, and More—will appear. 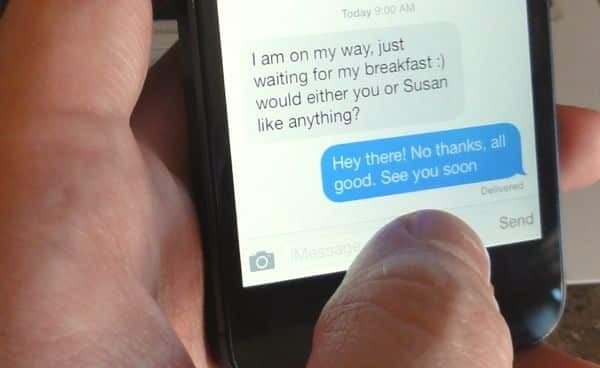 The messages you selected will jump into a new text message, which you can send to whomever you’d like. Want to see the exact time you sent a text message? Just tap and hold a message, then immediately drag it from right to left; when you do, you’ll reveal “timestamps” for every message you sent in a given thread. Have more iOS 7 questions? Post ’em below, or send me an email. Click here for more iOS 7 tips!